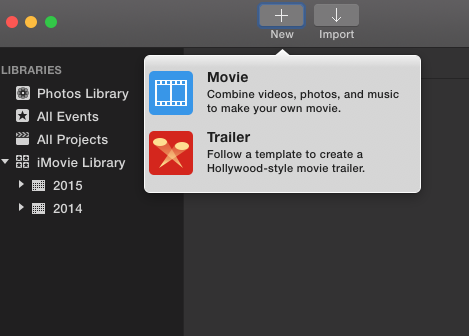 iMovie is a video editing software application that comes preinstalled for the Mac and iOS (iPhone, iPad, iPad Mini and iPod Touch). Unlike Wevideo, it doesn’t require you to create an account before using. A theme template will includes an opening title, end title and a transition between each clip to give your movie a professional look. Cropping is useful when you want to remove parts of a video or image or to adjust them to fix the final video’s aspect ratio. 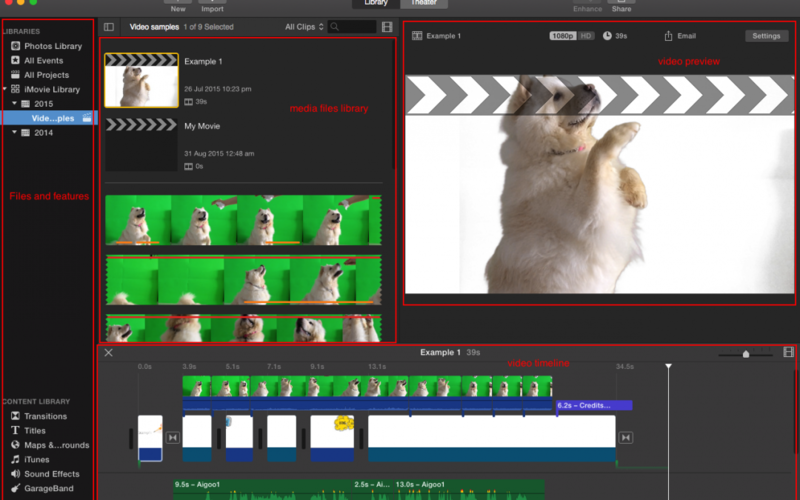 Please note that you are cropping the video frame for that particular section and not the whole video. You will see two different frames (1) Start (2) End. Use the “+” sign to adjust where you want the zooming to end. 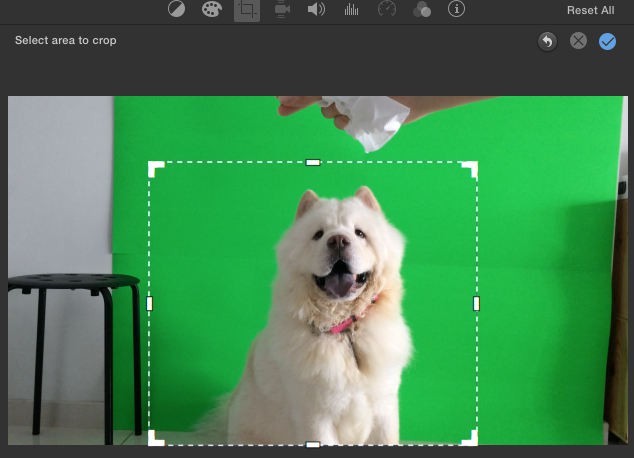 Add Freeze Frame lets you extract a moment in a video and make it to a still image. 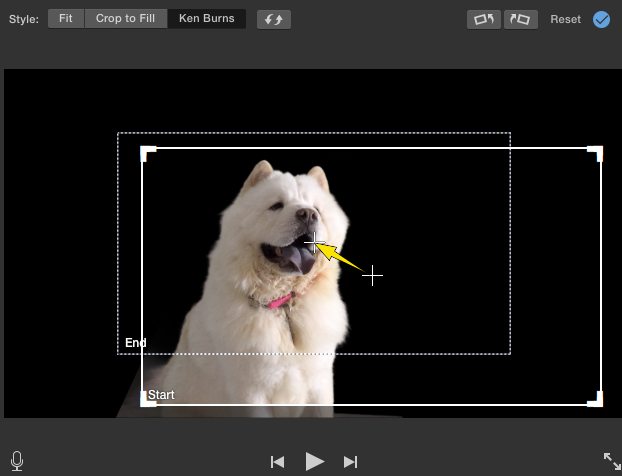 To do it, select the clip and position the playhead over the frame you want to freeze, and then right click to choose Add Freeze Frame. 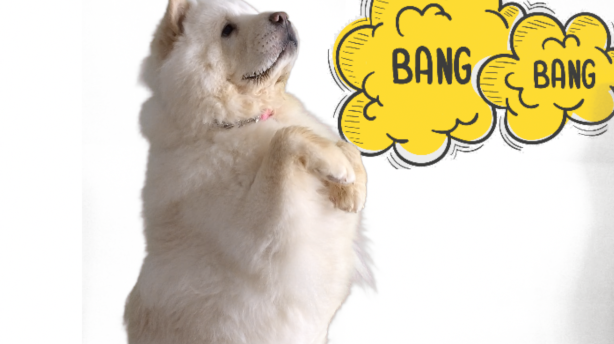 A 4-second freeze-frame clip is inserted at the playhead. You can drag it to a new location in the project and change its duration. 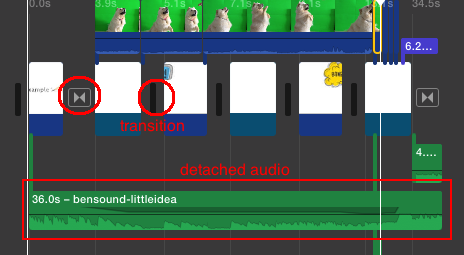 Detach Audio helps you to split the sound from the video. This is useful for further manipulation of the sound captured in the video or for replacing of the sound. 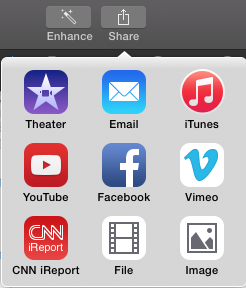 When you detached an audio from a clip, the detached audio will displayed directly below your inserted media. 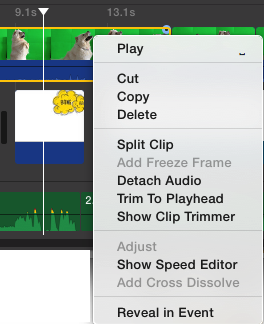 Clip Trimmer allows you to add more frames to a clip, or remove unwanted frames from a clip. Using the clip trimmer, you can see how much of your clip is being used, as well as how much is unused.